Paying tribute to mothers everywhere, this exhibition explores the theme of motherhood through artworks selected from the Art Museum’s permanent collection. The exhibition contains artworks which depict the beauty and joy of motherhood alongside works that show the challenges that women face when they become mothers. On display are artistic tributes to mothers and grandmothers by local artists George Pemba, Maureen deJager, Jennifer Ord and Ethna Frankenfeld. 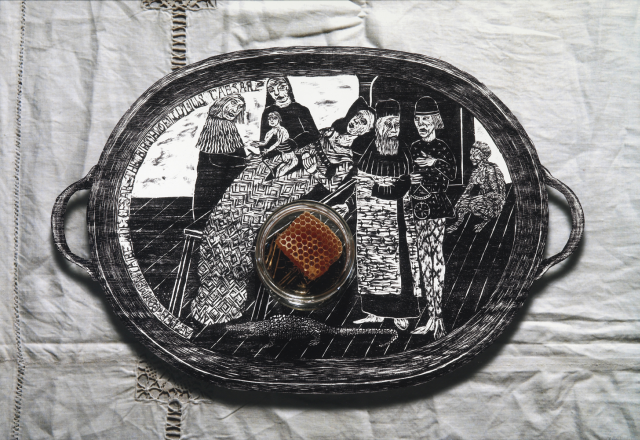 Christine Dixie’s print series Birthing trays explores childbirth and ritual in Medieval Europe and the history of caesarean sections. Marc Pradervand’s photo series of Teenage mothers brings to our attention the plight of underage mothers in the Eastern Cape.